Show your support for local merchants and “shop small” on Small Business Saturday! Launched by American Express in 2010, Small Business Saturday is an annual shopping tradition dedicated to supporting small businesses and celebrating communities across the country. Small businesses play a key role in helping communities thrive. Shopping and dining at your favorite local places shows support for small businesses and makes a positive impact in your community. 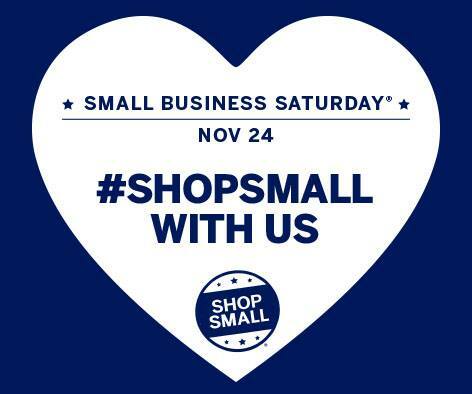 Show your support by using #shopsmall on your social media posts. Let’s make this year’s Small Business Saturday the best one yet. Small Businesses at Monroe Street Market are Brookland Pint, Busboys and Poets, Fox Loves Taco, Kibana Nail Bar, Wardman Wines, plus, 27 artists on the Arts Walk at Monroe Street Market.